This comprehensive 2 day workshop will give you the grounding and confidence to work with fertility clients, expand your knowledge and give you specific Fertility Reflexology techniques to use for those with unexplained fertility, those preferring more natural approaches to Fertility and those who are going through Assisted Reproductive Techniques (ART) such as IVF, ICSI, IUI, Clomid or FET. Qualified Reflexologist’s looking to expand their knowledge and client list in this fascinating and much in demand field of fertility. A certificate of attendance will be given so you can claim CPD points with any relevant associations. Aims: The Learner will be able to support the fertility client with Reflexology, particularly those with a diagnosis of unexplained infertility, those who wish to take a more natural approach to fertility and those who are going through Assisted Reproductive Techniques (ART) such as IVF, ICSI, IUI, Clomid or FET. The learner will have a greater understanding of the causes of infertility. How infertility affects emotionally and physically the client and her partner. The treatment options available for the diagnosis of infertility for both the male and female. Discuss how Reflexology can help the client. Demonstrate the use of practical Reflexology techniques on the client. Consider how we can support our client by introducing our array of tools. Recognize and signpost the client for additional support. During Day 1 there will be discussion of the reproductive systems of both male and female including conditions which can affect the normal functioning of either including medical tests and investigations involved in the diagnosis of fertility. 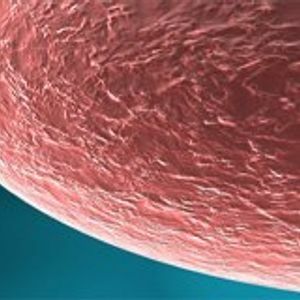 Definition of fertility and its application to the male and female. Female cycle and methods used to plot and identify ovulation using charting, temperature recording or APPS. Treatment options available both allopathic and complementary. Importance of diet, nutrition and Supplementation for conception. Include the client with PCOS or Endometriosis and how we support them. The use of supplementation as many attend already using these - what are good and those that are poor quality. Day 2 concentrates on learning about the client having Assisted Reproductive Techniques (ART) such as IVF, ICSI, IUI, Clomid or FET. Procedures as mentioned above including the diagnostic tests involved. Discuss the procedures available including those additional to the ART process and what they achieve for the couples. Exploration of the Treatment Plan and what this entails as the client is induced into a menopausal state, stimulated to ovulation, prepared for egg retrieval, and then fertilisation, egg transfer and the two week wait…. Identify the information we need to know as part of our Consultation History for this client – learn the relevance and importance of specific data recording? Examine the Emotional and Hormonal effects this process has on the female and the couple. Practical work: Students will be given the opportunity to master techniques specifically for use with fertility clients as well as reflexology techniques adapted for use in this field. There are specific technqiues used for unexplained as well as specific moves for the ART client which relate totally to where they are in the Treatment Cycle. All of this information is mapped in the manual for you to follow and consequently master. Assess the client using chakras, identifying areas of imbalance and using this knowledge to apply to your reflexology techniques. Reflexology and its Role with ART: Ask how we as Reflexologists can understand and support the client at this time. Using a comprehensive manual confidently learn techniques, assessments, by reading descriptors or images to support the reproductive tract whilst the client is going through the various stages of the Treatment Plan. Understand and be able to translate the specific time span of the treatment into reflexology techniques. Understand and offer support or signposting when the process fails, what causes failure? Look at how the Reflexologist can support the client during this time. What can we as Reflexologists do to raise the profile of effective support for this client? What is the purpose of research for Reflexology and this client? Discover any new and current approaches to ART as we go through the day. Case studies are an optional part of this course. However, some insurance companies now specify that you need a case study element to say you are trained or experienced in a specific area. A certificate will then be issued to acknowledge that you have attained the standard to be recognised as a Fertility Reflexologist through an approved CHTA & FHT course. To achieve the qualification ‘Fertility Reflexologist’: attendance of the two day course as well as submission of case studies 3 x 3 treatments and 2 written assignments to be completed within one year of attendance of the course. Once registered on the website you will remain until you request to be removed. A Statement of Attendance will be issued for attendance of the course which can be used for CPD. This does not constitute a practitioner certificate which will be provided on completion of course requirements as above. Tommy Tiernan - Paddy Crazy Horse - Extra Dates!